ATA membership brings with it a number of benefits that may save members time and money. The ATA endorsed programs are one of the many ways that we say “Thank You” for your membership. PrePass PrePass®, provided by HELP Inc., is the most comprehensive and reliable weigh station bypass and toll management platform in North America. Using an in-cab transponder and the MOTION™ mobile application, PrePass allows qualified carriers to stay on the road and safely bypass PrePass-equipped inspection facilities at highway speeds. PrePass services include weigh station bypass, electronic toll payment service, INFORM™ safety score and toll management data portals, and PrePass ELD™. Since 1993, over a half million commercial trucks have logged over 700 million weigh station bypasses, resulting in more than $5.2 billion in savings. PrePass helps fleets save time, fuel and money. www.prepass.com/az. Transtar Insurance Brokers, Inc. and the ATA have partnered up to offer affordable insurance coverages to owner operators. Transtar offers a wide variety of coverages including: occupational accident, physical damage, non-trucking liability, health insurance, and much more. Call (602) 388-1199 or visit us at www.transtarinsurance.com today to find out how much you can save. ATA and J.J. Keller & Associates, Inc. share a common mission to support the transportation industry in its efforts to increase safety, control risk and improve the general operational efficiency of our member companies. 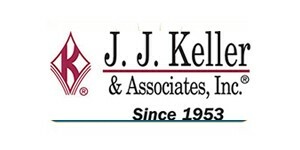 To take advantage of the J.J. Keller preferred provider agreement and receive special promotions on products and services, check out the link on our website. American Trucking Associations Business Solutions brings top industry minds together to find solutions for issues facing truck-related companies today, such as economics, safety, fuel economy and efficiency, security and more. Their website offers driver appreciation materials, outreach products, and Safety awards. A great resource for your trucking needs and all proceeds benefit the industry. Go to www.atabusinesssolutions.com. HDS Safety Services will provide you with transportation industry safety and compliance solutions that will help to ease the burden of regulatory requirements, so that you can run a more responsible, efficient and profitable business. Go to www.hdssafetyservices.com or call 877-206-1282. Be sure to let them know you are an ATA member.